Well it is official, we are going back to Wellfleet – the charming Cape Cod harbor town – for our traditional vacation next week, and I can’t wait. One of the places I look forward to returning to is the the Frying Pan Gallery right on Wellfleet Harbor. The Frying Pan Gallery features the great work of artist Steve Swain – like his steel horseshoe crab sconces (above right) which are just so cool. 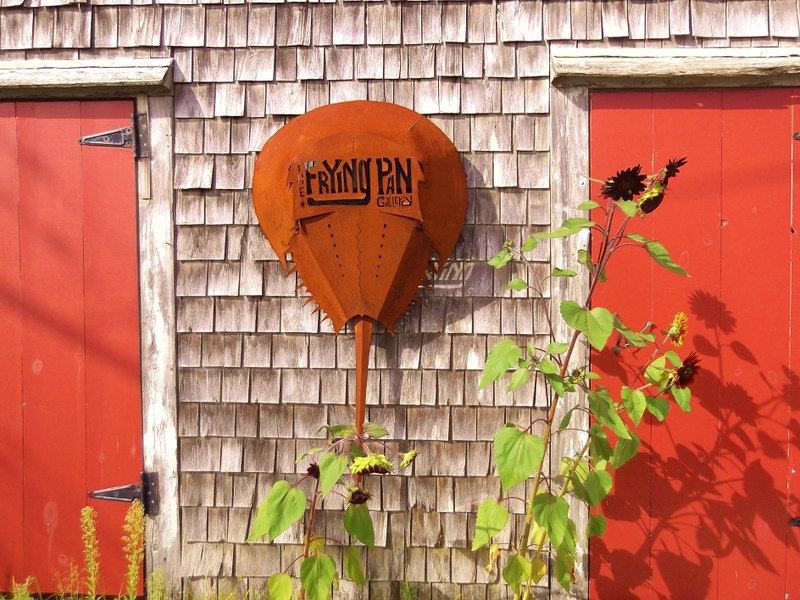 Learn more about the Frying Pan Gallery in Wellfleet here. Learn more about the art of Steve Swain here. Lost Cowboy is powered by	WordPress 5.0.4 and delivered to you in 0.935 seconds using 40 queries.